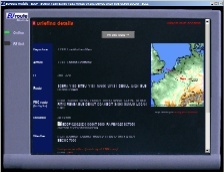 This is our old website. EUroute has recently changed it's name to vroute and the new website is available at www.vroute.net. The product described on this page WILL NOT work. "Five mouse clicks until you're online, flying." Welcome to the EUroute Module - a free add-on for Microsoft Flight Simulator that allows you to find high quality flight plan information for your virtual flight. 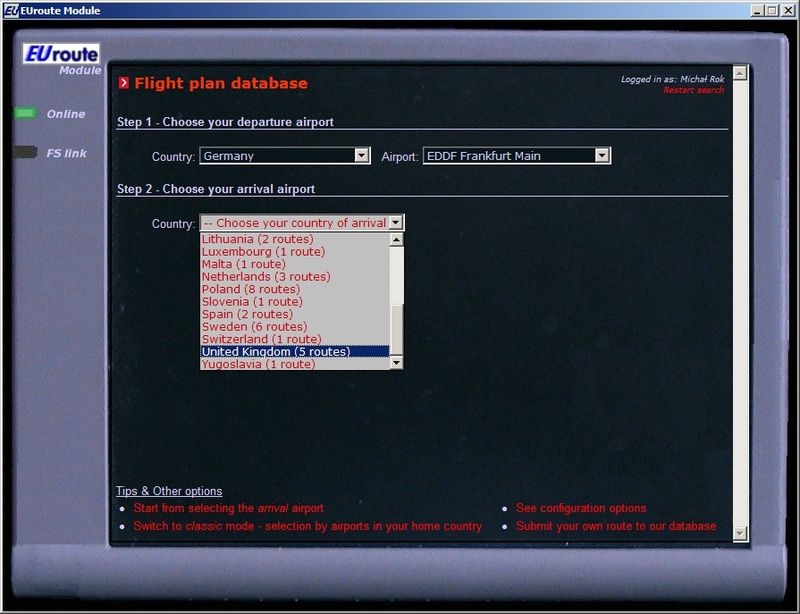 The EUroute Module plugs into our flight plan database (EUroute FPD) to provide you with over 7500 routes ready to be flown. Our routes are regularly checked to make sure you get the best possible service. EUroute Module delivers accurate and up-to-date flight plan information to pilots, simplifying the task of preparing for a flight. In simple words, it helps you in getting from simple "I know where I want to fly" to actually having the information needed. We keep a database of flight routes (sequences of navigation aids and airways) that connect given airports, and present this information adding real time data about weather, NOTAMs, charts, possible alternate airports and others. The EUroute Module helps you get in the air faster, by allowing to submit a complete flight plan to VATSIM servers or save to SB3/FSInn with just a click of the mouse. Click here for a sample Flight Progress Card generated by EUroute Module. 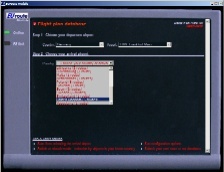 Flight Simulator 2002 (EUroute2002.zip - 339 kB). When you have the zip file, do as follows: uncompress EUroute.dll, FSConnect.dll and EUroute.exe into the Modules\ directory in your Flight Simulator main folder. 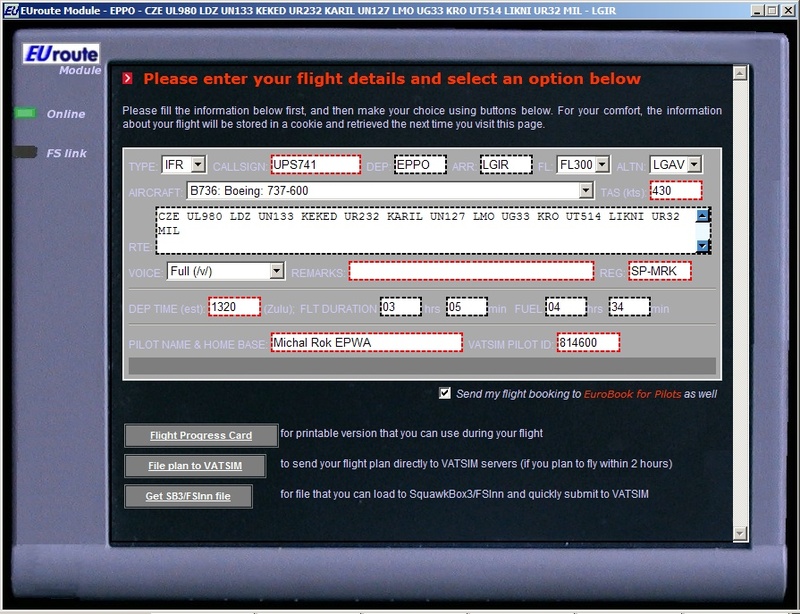 Then start Flight Simulator and check if you have the additional EUroute item in menu. Please go through the readme.txt file which includes most up-to-date information. 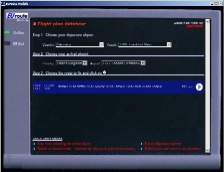 The second file is an easy to use on-board touch-screen device that you get for your plane. It has over 7500 routes available, and it is not just the routes - you will get current weather, links to maps, view of the flight path, NOTAMs, automatic alternate airport selection, etc. 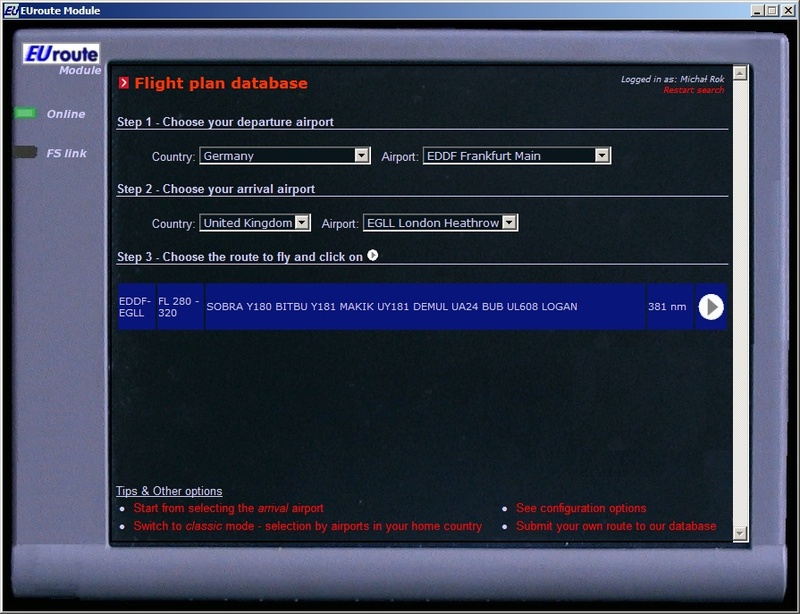 Then you can move the window out of the screen to uncover your onboard FMC and still see the route details. EUroute Module can save your selected routes in FS Navigator format, so that you can simply load it and fly it - no need to re-type, search for waypoints etc. You can also export routes to SquawkBox3 / FSInn format, so that a flight plan can be submitted to VATSIM without any extra effort. Ever found an interesting flight plan that simply wouldn't work, because navigation aids were removed or airways have changed? We did, and that's why we took a completely different attitude. We use a real-life flight plan verification system (Eurocontrol CFMU) to check all new flight plans. What's more, we regularly check all flight plans against current AIRAC cycle data, to make sure we only provide high quality information to our users. We have approximately 7000 routes in our database. EUroute can help you choose an alternate airport for your route. It will not only find the suitable airports within range (taking into consideration only civilian, ILS-equipped airports), but will also automatically check the local weather so that you don't choose an airport covered with dense fog by accident. 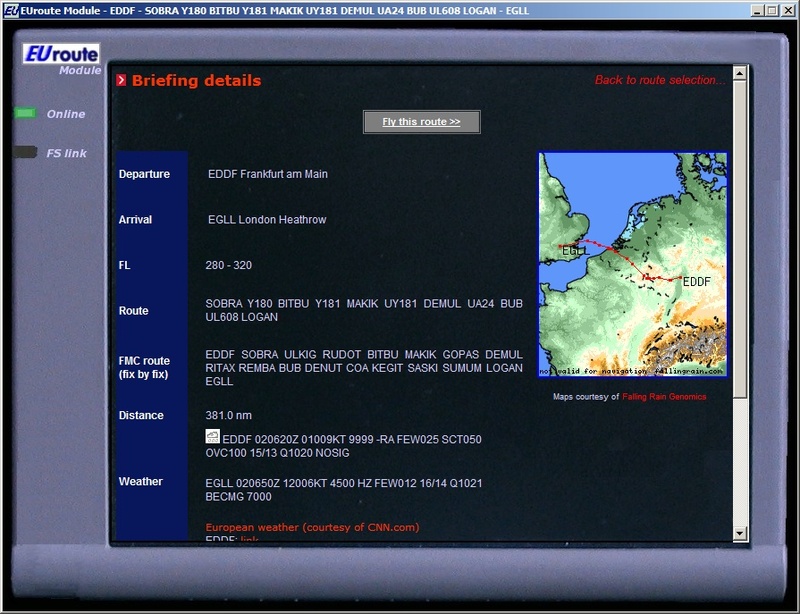 EUroute is integrated with VATSIM Flight Plan Management webpage, to give pilots the ability to submit a flight plan without typing it over in their pilot client software (i.e. SquawkBox). EUroute has a database of links to NOTAM and chart pages, and will show links to relevant information for chosen airports (if available). 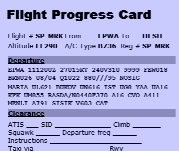 EUroute Module will also produce a Flight Progress Card, a PDF document with all the information you need at hand while flying. Page last updated on 01.09.2005.